It is with great sadness that we mark the passing of Sharon Sakai, the beloved wife of artist Stan Sakai, after a long and painful battle with cancer. Stan was one of the very first creators at Radio Comix, and it was always a delight to meet up with both the Sakais at conventions to chat and catch up. Sharon was a wonderfully positive person and she will be deeply missed. Everyone here at Radio Comix sends our deepest condolences to Stan and the whole Sakai family at this difficult time. Sebastian & the Beast Vol. 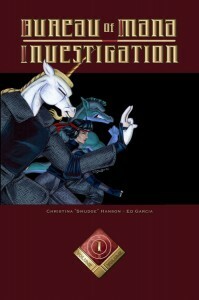 1 Graphic Novel is now available! 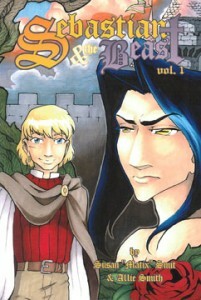 Hot off the press, the Sebastian & the Beast Vol. 1 trade paperbacks are here and in stock! This fairy tale BL romance by Susan "Matix" Smit and Allie Smith has been uber popular on the webcomics section of the Radio Comix website, and now you can own the first collection in handy dead tree format! This volume collects chapters 1-4, and rounds out at 118 pages of dramatic romantic tentacle-y goodness! It's ready for purchase at the Radio Comix Online Store for a mere $16.99. UNTAMED Vol. 2 Cover Peek! Here's a sneak peek of the cover to the new Untamed Vol. 2 adults-only anthology! (Cover painted by the lovely Diana Harlan-Stein! And yes, this is a Sin Factory title, so it is definitely NSFW and you must be 18+ in order to purchase it! It's the law!) This issue features more great stories and art by the team that brought you Anubis: Dark Desire, including Heather Bruton, Max Blackrabbit, Dark Natasha, EbonyLeopard, Steve Gallacci, Roz Gibson, Stephanie Lynne, Style Wager and more! You can pre-order the book at our online store and guarantee you won't miss out on getting a copy for your very own! Fifteen Years of Radio Comix! 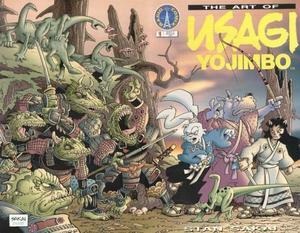 That's right, fifteen years ago in April 1997, Radio Comix debuted with three comics: The Art of Usagi Yojimbo, Furrlough and Genus! It's been a wild and crazy ride ever since, as we've published literally hundreds of thousands of copies of well over 70 different titles over the years. (And we have the storage unit full of stuff to prove it!) Not too shabby for a company that has always been essentially three people, working on comics and websites and art whenever they can. Of course, we wouldn't still be here if it wasn't for the loyal and passionate support of all our readers, fans and friends, and we are supremely grateful to all of you. To celebrate, we're running a huge sale over on the Radio Comix Online Store, where almost everything Radio Comix related is discounted anywhere from 15-50% off! The sale lasts until May, so check it out while you can! Genus: Male #11 Sneak Peek! Here's a sneak peek of the cover to Genus: Male #11 by the ever-talented Joe Rosales! This issue of the gay male annual will make its traditional debut at Further Confusion 2012 in January! It's already available to pre-order at our own online store, don't wait to guarantee your copy! Project A-Kon is coming! Of course, Radio Comix is going to be there, as we are every year! 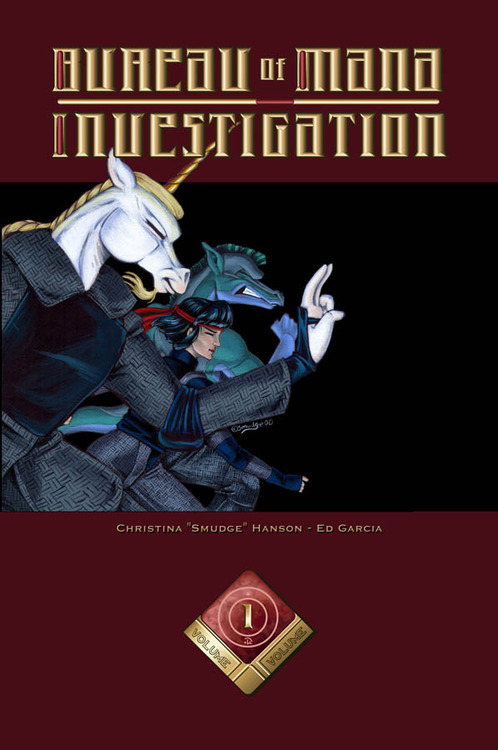 But this year we will be joined by Christina "Smudge" Hanson, artist of Bureau of Mana Investigation, Ebin & May, Liberty From Hell and more! 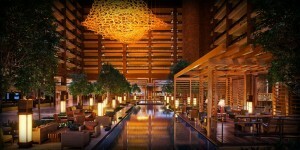 Join us in Dallas, Texas on June 10-12, 2011 for the biggest anime convention in Texas! We'll have a full stock of all our titles for sale at our booth in the Dealers' Room, including the new Genus #93 and Genus: Male #10! And plenty of local Radio Comix talent will also be on hand to meet & greet & sketch, including Joe Rosales (Romanics, Wildlifers), DAQ (Genus, Hit the Beach), Shon Howell (Furrlough, Genus, Porndexters), Brian Sutton (Genus, Amy's Adventures) and Phil "Poinko" Gibson (Furrlough, Milk Presents: Greek Fire, Genus)! Come on by and join the fun! Just a quick update to let you loyal readers know that our intrepid webmistress Smudge has managed to fall and break her right arm this past weekend while doing Radio Comix-related reconnaissance at WonderCon. Yes, that would be her main writing/typing/photoshopping/drawing arm. (She doesn't like to do anything by halves, our Smudge...) There may be some slight delays in posting on some of our regular online comics while she heals up. Here's hoping she makes a speedy and complete recovery! Sure enough, it's time for Furry Fiesta, the annual furry convention in Dallas, Texas! 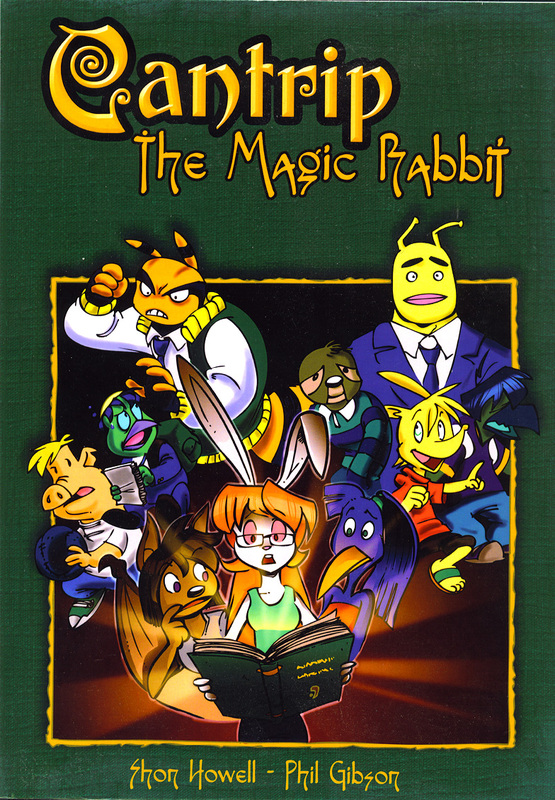 Elin will be heading up there with a full stock of Radio Comix titles, including the new Bureau of Mana Investigation trade paperback and the newest issues of Genus: Male and Furrlough! (Unfortunately, Genus #93 was delayed at the printers due to the crazy winter weather across the country, but we'll have everything else!) We'll even have some special rarities we found when doing inventory in the storage- long out of print books that even we have not seen in years. But quantities are incredibly limited on those (onesies and twosies at the most), so be sure to come by the Radio Comix table early to check them out! The Guest of Honor this year is the lovely and talented Megan Giles, whose beautiful art has graced many a Furrlough and Genus cover. Other luminaries attending the convention include Joe Rosales, Heather Bruton, Diana Harlan-Stein, DAQ, Shon Howell, Brian Sutton and Phil "Poinko" Gibson! Plus many more! It's bound to be a super-fun time! In other things, we're playing catch-up on mail order- the winter storms delayed our shipments of mailing supplies a ridiculous amount, so we've been operating at a greatly reduced speed using locally-found supplies (which can't be gotten in the quantities we really need). Hopefully, we'll be back up to speed in the next week or two. Yes, it's that time of year again, the time when we all stuff ourselves with too much food and then attempt to go shopping the next day! And that also means it's time for our Reader Appreciation Sale at the Radio Comix Online Store! It's our way of saying "thank you!" to all our loyal readers for the continued support, because without readers, we'd wouldn't be here. So, get comfy and click on over to the online store for discounts of 20-50% off on hundreds of comics, graphic novels and more, from us and other small-press publishers! Hurry though, with prices like these, I'm sure we'll be selling out of lots of things! The sale ends soon, don't miss out! It appears our online store is down quite suddenly, as the hosting company we use is having some sort of issues. We're hoping to get this resolved as quickly as possible, but unfortunately do not have an ETA on when they will have said issues resolved. We do apologize for the outage on the store and will let you all know as soon as possible when it is back online. Thank you in advance for your patience. EDIT TO ADD: And our store hosting guys have got it fixed! Hooray, big props to them! Furrlough #190 & Untamed Vol. 1 in Previews! Big news! 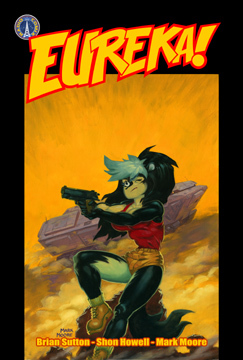 Furrlough #190, the first issue of Furrlough in the new, perfect-bound format, and Untamed Vol. 1 (adults only) are listed in the latest issue of the Diamond Previews catalog! That means it's time to politely pester your local comics retailer about pre-ordering copies for you! The Diamond order code for Furrlough #190 is MAY101102, and the Untamed Vol. 1 order code is MAY101103. By using these helpful item codes, your retailer will be able to find and order the books for you with a minimum of fuss! Both books are scheduled to ship in July 2010. Furrlough #190 will be in the same format as our latest issue of Genus, complete with perfect-bound spine, matte cover stock and high quality white paper inside. Untamed Vol. 1 is our newest series, brought to you by the same team of fabulous creators who brought you Anubis: Dark Desire! Heather Bruton, Diana Harlan-Stein, Dark Natasha, Terrie Smith, and many more, contributing beautiful, romantic stories of forbidden love. The art is absolutely gorgeous! Pre-ordering is a matter of life and death for small-press comics, as many comic retailers are unwilling to take a chance on special interest comics during these difficult economic times. Letting your retailer know that you really want these books (and using the order codes above) doesn't just help us, it helps support your local comic shop as well! Pre-order your copies today! For those of you without access to a local comic store at all, we will be putting up pre-order pages for both titles on our online store once the scheduled shipping time gets closer. Radio Comix Facebook is Go! New Books at Printers, Further Confusion Appearance is Go! It's been a busy and exciting time here at the old Radio Tower, hence we've been a bit quiet on the news front trying to get everything finished and squared away. But I am brimming with announcement news, all of it good! First off, we have two books currently at the printers after our long reorganization hiatus! Genus #92 and Genus: Male #9 are both being printed as we speak, our first new books in ages! Genus #92 features a gorgeous cover by DAQ, colored by the multi-talented Will Allison, with plenty of great goodies inside by Brian Sutton, Shon Howell, DAQ, Kjartan Arnorsson, ReDaDillio, Terrie Smith and last but certainly not least, Diana Harlan-Stein! This is also the debut of a totally new format for the book, similar in style to a Japanese doujinshi. This book will be available through comic shops across the country thanks to Diamond Distribution. If you want your local retailer to order it for you, the Diamond order code is NOV090898. If your local comic store retailer simply can't get it for you, we do have it available for pre-order on our own online store! It will also be available at our table at Further Confusion! Genus: Male #9 features a very foxy cover by DarkZel, and awesome interiors by JK Blacklin, Tredain & DarkZel, Terrie Smith, Sara Palmer, ReDaDillio, and Joe Rosales! This is the standard sized comic format, and will be available for comic stores to order via our friends at Haven Distributors. It is also available for pre-order on our online store and will be available at our table at Further Confusion! Rusty had a long and varied career in comics, starting in the mid-1980's, with work-for-hire on Deputy Dawg comics. He did a lot of contract work for Marvel on their licensed comics line in the early and mid 1990's, including titles like Alf, Danger Mouse, and Count Duckula. In the last few years, Rusty had been working on his creator owned series, Ace & Queenie, a charming funny animal send-up of Sixties spy films. The series ran in Furrlough on an irregular schedule, starting in issue #146. He also regularly contributed to Hit the Beach and did regular commission work for his fans. I just talked to Rusty on the phone a few days ago, and we were full of plans to put Ace & Queenie up on the Radio Comix site with an eye towards a future collected print version. We also chatted about some other ideas he'd had kicking around for a few years- comics that could now come to light, with the advent of web publishing. I'm deeply saddened that all those great ideas will come to naught, and that Rusty's dreams can't be realized now. Rusty was one of the nicest people we've had the pleasure of working with. He was always upbeat and positive, and he was a solid worker when it came to his pages. A consummate professional, he always welcomed honest criticism and constantly strove to improve his work. He was a great guy, and I will miss him. His sometimes silly, sometimes serious stories always made me smile. Radio Comix has new Digs! This past Sunday, we just completed a move of our home office to new digs! Unfortunately, this means we will be delayed in shipping out orders for at least another week while we unpack and set everything up. (Also, while we wait for the internet and phone to get switched over to the new place... they have been off for the past week or so.) We are hoping to complete our unpacking and office set up by next Monday (9/7/09), but please do not panic if it takes a little longer for us to get everything back on track regarding the mail order. (It's a LOT of boxes of stock to organize after 12 years in business!) We apologize for the delay this will cause to our mail order service and thank you all in advance for your patience! SPECIAL NOTE: Our mailing address WILL NOT CHANGE. We receive all our mail at a private mail box, since it makes it easier when we are at conventions or in case we need to move. Our emails, web addresses, etc. will also not be changing at all. Once we're finished setting up, we'll have more new goodies added to the online store, ready for you to peruse and purchase at your leisure! Just a quick note for anyone attending Anthrocon- we sadly will not be able to attend this year. We have an office/home move that is going to be going on the same month as the convention, so that takes priority. We'll definitely be there with bells on next year, but fear not! Our esteemed colleague Fuzzwolf, he of FurPlanet (http://furplanet.com/shop/) fame, will have some of our latest books with him on consignment. So, you'll still be able to get your Radio Comix fix, just not directly from Elin's tiny hands. FurPlanet will be at tables A-16 through A-18, so be sure to go check them out at the convention!